The Gamesmen, Episode 69 – Make A Joke | The Gamesmen- What role will YOU play? Join Amras89 and Hardlydan for game talk and fun! This time, The Gamesmen talk about Nintendo and Universal Studios, the Mirror’s Edge sequel, the Splatoon demo, the Oculus Rift release, Nintendo being profitable again, GOG Galaxy, Guild Wars 2 and public humiliation, Nintendo releasing five phone games by March 2017, World of Warcraft losing subscribers, the Five Nights at Freddy’s rip off, the next Assassin’s Creed coming next May, and The Witcher 3 on a Unicorn. 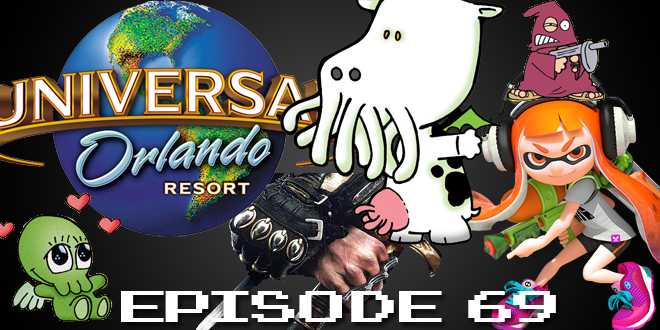 Games discussed are Elite: Dangerous, Minecraft, Grand Theft Auto V, Mortal Kombat X, Munchkins Cthulhu, and The Chronicles of Riddick: Escape from Butcher Bay. Answer the #tGmQuest – Is public humiliation a good or bad thing to do to cheaters in games?